Brain injury became a major issue in the late 1980s and early 1990s. By then, the road accident rate had surged to unprecedented levels. In 1992 alone, deaths from road accidents in Spain amounted to 5,000, or an average of 14 a day. The number of seriously injured people is unknown, but we can infer that there might have been lots of people with severe traumatic brain injury. To the high accident rate we should add the extraordinary development of severe polytrauma patient care techniques in those years. Post-trauma transfer became more effective, especially in rapid assistance and technical expertise in early stages. In addition, intensive care services and intracranial pressure monitoring and neurosurgical techniques became increasingly common. The combination of high accident rates and improved medical care in the acute stage of head injury led to an increased number of survivors with severe brain damage. Out of these survivors, many were young people with a long life expectancy. The Spanish society was undergoing sociological changes involving limited availability of informal caregivers and the patients required rehabilitation programmes and expert care. 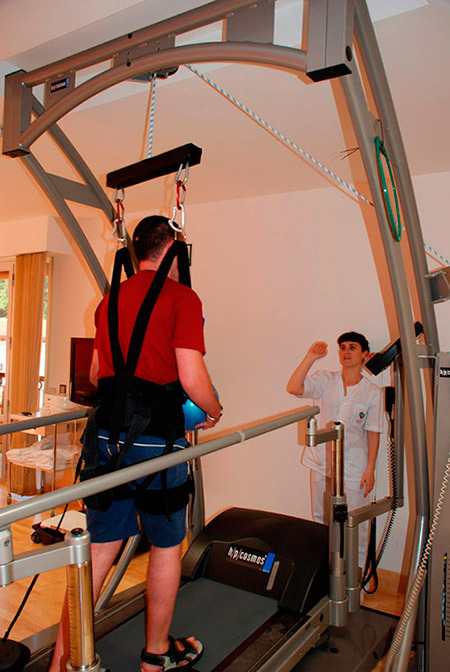 The earliest brain injury rehabilitation services date back to the 1990s, when many specialty societies were established. In 1995, the Spanish Brain Injury Association (FEDACE) was created. The downward trend in road accidents led to the decrease of acquired brain damage caused by traumatic brain injury. Currently, most brain damage is due to stroke, whose frequency has increased as an effect of population ageing.